Craving more masa-based goodies in your world? A flavorful festival is coming up in January. Atascadero is the tamale-terrific place to be on Saturday, Jan. 19, 2019. MUCH HUMOR... and wisecrackery has been made, in many quarters, over the final slice of pizza in the box. Who'll get it first, among a group of friends? How long will it sit there, as everyone in the room wants it? And will there be a small but friendly tussle over it, followed by two pals deciding to split it in half? Pretty much every pizza person out there understands these issues, while many tamale mavens have faced similar quandaries while lingering near the Christmas Eve buffet table or in the kitchen, after any holiday party. For while cookie aficionados may not quibble over the final snickerdoodle, and drink fans may not argue over the last cup of eggnog, all people who love tamales are secretly (or not-so-secretly) longing for the last husk-wrapped treasure on the platter. 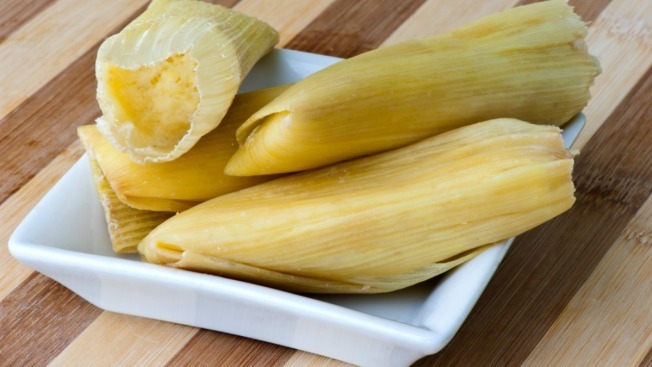 "OVER 30 VENDORS," in fact, with sweet tamales making a showing in addition to savory fare. There shall be some contesting afoot, too, with a People's Choice Tamale to go for as well as Judges' Favorite Tamale. As for the Tamale Eating Contest? Oh yeah, that's happening, so ponder if you're up for that filling task. Mariachis, a Chihuahua costume contest, and other Atasca-fantastic activities will happen at the Sunken Gardens. Details on the Jan. 19 festival? Don't linger too long: Dig in now, like you're enjoying the final tamale at the party (the one you really, really wanted).